The Nike Air Jordan 1 is the most iconic sneaker of all time. It’s the shoe that launched a thousand imitators and helped the Nike brand become a dominant force in the industry. 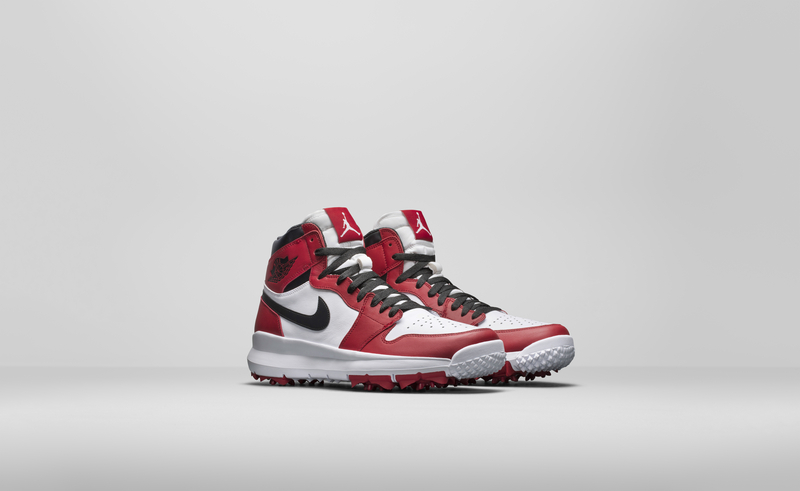 More than 30 years later, Nike has brought the design to the golf course. According to the brand, famously golf-obsessed Jordan took up the game in 1984, the year the shoe debuted on the court, which leads us to ask, “Why did Nike wait so long to put this obvious combination together?” But, like a tardy party guest, we’re just happy they showed up at all. Of course, Nike made a few changes to the basketball shoe for the golf course. Designers added extra padding to better support the ankle and add comfort. The shoe is fully waterproof and is anchored by a Nike Free-inspired outsole with soft spikes. And for a bit of flare, a large Jumpman logo adorns the tongue.